Br. 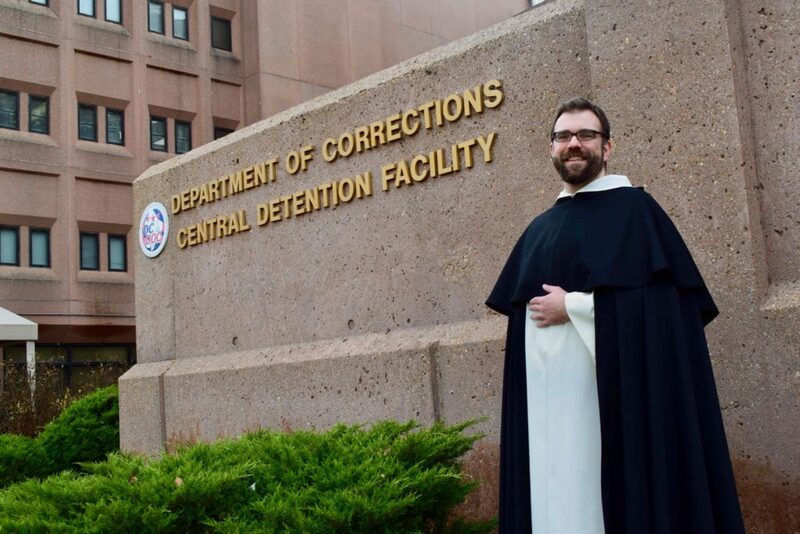 Jordan Zajac, O.P., is the latest Dominican student brother assigned to minister to prisoners in the District of Columbia’s Central Detention Facility, better known as the DC Jail. He meets individually with inmates confined to solitary cells because they are threatened by, or pose a threat to, the general population of the prison. What does your ministry to these men entail? These inmates are not allowed to participate in any religious worship outside the [solitary] unit, so my visit is the only sign of God’s presence to them. Many are lonely, desperate, and want to pray. We read scripture together. Some have a favorite Psalm they want to go over. I listen to their life stories and their desire to make amends. Some are so distraught and angry they can’t be reasoned with, so I just pray the Rosary aloud with them to ask for Our Lady’s intercession. How is this ministry preparing you for the priesthood? Prison has a very concentrated dose of the despair and meaninglessness you see in the culture at large and that, as priests, my brothers and I are going to be combating for the rest of our lives. Priests get up close and personal with the messiness of our broken lives and act as instruments of healing and hope. Do you have hope for these men? There is goodness in them, because God is good and He’s given them the gift of life. Every prayer we pray together, I start with thanks for the gift of this day and the gift of our lives. We root it the fundamental goodness and purpose of our being here. I try to reveal to them the goodness they have within themselves and show them they can find a better end in God. BlackfriarsBr. Jordan ZajacCatholicDominican FriarsOrder of PreachersPrison MinistryWashington D.C.